Hellewwwwww! Today I get to highlight Reviving Remnants, a handmade biz focused on making sustainable products & allowing previously loved materials to "be made new." Piper, the gal behind Reviving Remnants, makes products to wear, to decorate your home, and to help you stay organized ((zipper pouches!)). Best of all, a portion of sales goes to Dress a Girl Around the World. Sweetness. 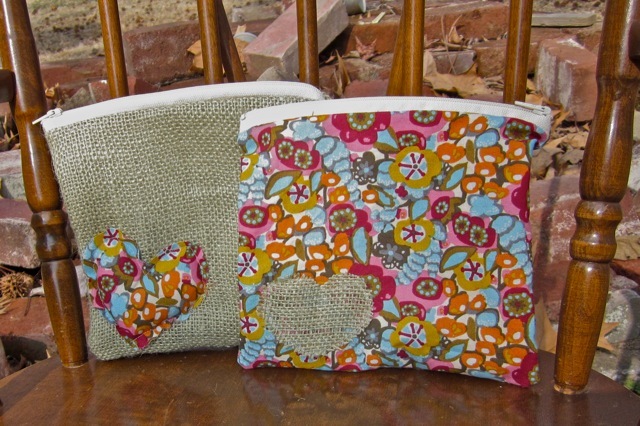 Today, Piper is giving away these TWO adorable zipper pouches! They are made with 100% natural jute burlap ((one of the only sustainable fabrics)) and the lining fabric is a "previously loved pillowcase." Not to mention, the gorgeous Anna Maria Horner accent fabric. The burlap is 100% natural jute (one of the very few sustainable fabrics). The liner fabric was a previously loved pillowcase. (Upcycled fabric). Visit Reviving Remnants & leave a comment telling us what catches your eye in Piper's shop. "Win TWO handmade & adorable zipper pouches from @PiperPost on @OhSweetJoy's blog! http://tinyurl.com/2ddk985"
I like the birds on a wire framed picture from her store! I love the framed birds on a wire picture. What a great Etsy shop! 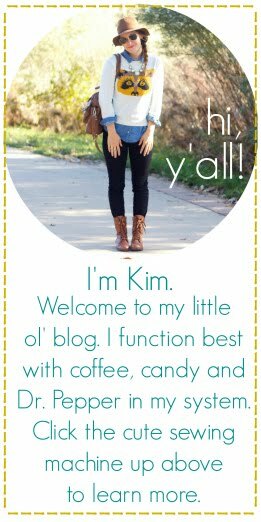 I follow Yellow Songbird using GFC -- you have such a cute blog! I LOVE the "birds on a wire" fabric framed art! Very cute shop!! Also, I am a follower of your blog!!! And love it! You probably have my FAVORITE blog design of all-time! 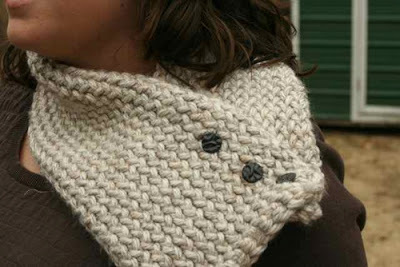 i love the cozy button scarf in oatmeal! First of all, I LOVE her shop name - and I adore those necklaces in the top photo, layered that way. I also really like the Brownie/Burlap pillow with the ruffle. Such fun stuff! I love that oatmeal scarf!!! It looks so cozy!!! I love the crocheted fabric necklace in mustard! I really & truly LOVE the zippered pouches!!! Ooo! I really like her earrings in her shop. And the kipper pouches are ubber cute! I am loving this shop! i would totally get the necklaces! i really like the ruffled pillow cover! I really love the Fabric Button Earrings - Hot Pink Polka Dots! I really like the necklaces, and would probably layer them also! OH MY GOODNESS!!! Just found your blog and went over to Piper's shop. What a blessing you two are. I love her necklaces, they are fantastic. I also love the birds on a wire framed art. Just love birds recently. Sooo cute! I love the Jersey Knit Bangle! love the necklaces you posted! 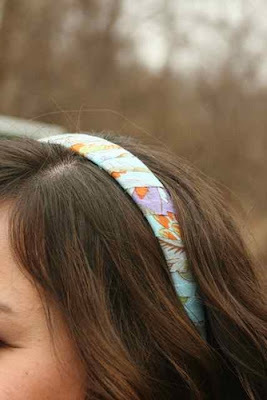 love the fabric wrapped headbands. so adorb! I love those little earrings! I like the fabric headbands! 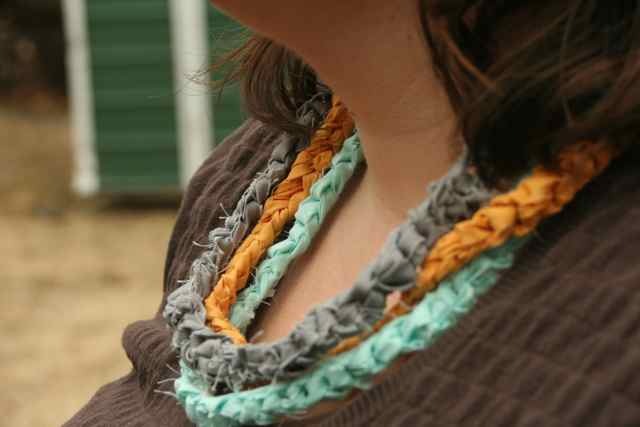 I love the crocheted necklaces! If I had to choose just one it would be the caribbean blue, but I'm with you, all 3 together would be perfect! love the framed "bird on a wire"! The button earrings - steel blue zipper! following! love that little scarf!